Below you will find a guest post from one of our HomeSource Builders clients. 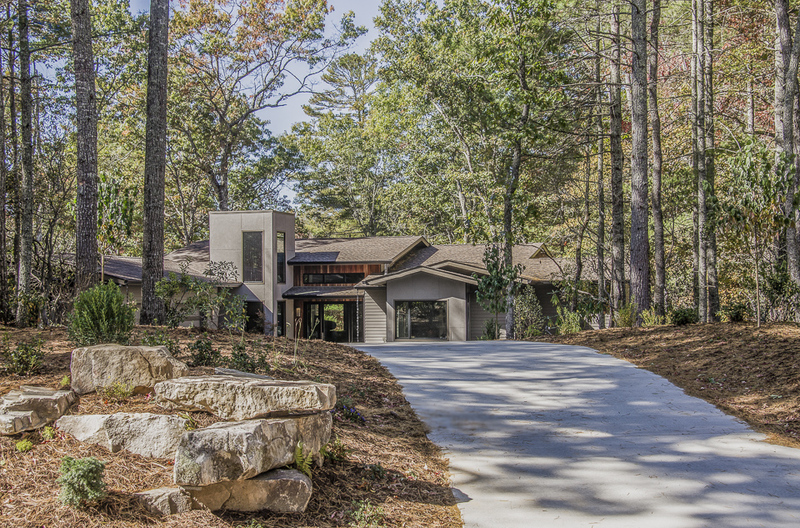 His home just won the Silver Craftmanship Award in the 2016 Parade of Homes. Here, in the Blue Ridge Mountains, we could have chosen a premium-priced lot with a mountain view, which is most often steeper, and more costly to build on, and often farther from town. But, for a similar price, we found a larger parcel, tucked in the woods, in a low-density development with a large park area for dogs, kids, and adults to roam in the grass near converging streams, a rustic pavilion, and lots of indigenous, tall shade trees. We wanted to buy a lot from an established, trusted developer, who would be around for years. Bridgewater was developed on part of Taylor Ranch, known for its longhorn cattle. Fourth-generation Cane Creek Valley resident, Billy Taylor, planned Bridgewater to be open, wooded, quiet, and accessible. Rural, but not remote, and with top-quality public schools nearby, it felt right for us. The one-and-a-quarter-acre lot we chose is wooded, with the building site intentionally set back about 125 feet from the street, among a variety of hardwoods, pines, mountain laurels, rhododendron, and galax. It slopes gently toward the back, so it accommodated our single-story-with-walkout-basement plan. We intentionally kept a natural rise in the 100-foot-long driveway, which has afforded a degree of privacy. Guest post by HomeSource Client: Perry A.